Yellowstone National Park. Hmmmm . . . the walkway to the "other side"? 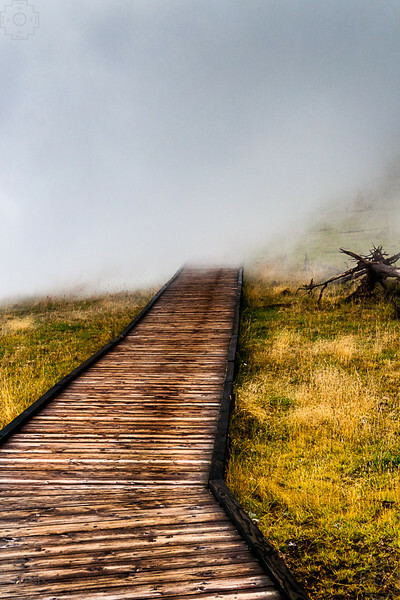 This is typical of many boardwalks that pass through the thermal areas in Yellowstone. NOTE: If you visit, cover your camera/binocular lenses before entering any spray or vapor area. They often have a chemistry that will damage the coatings on optical glass.